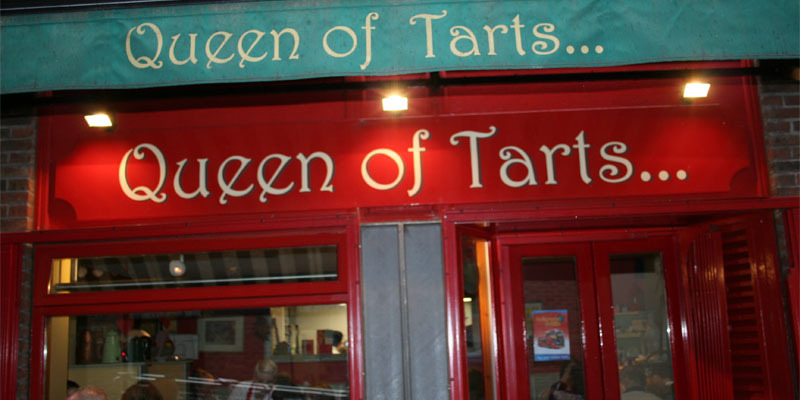 Queen of the Tarts is an establishment with two locations in Dublin. The Temple Bar location has an outdoor seating to enjoy a sunny brunch. The other location, prettier, is located in front if the beautiful Dublin Castle. The atmosphere is welcoming and quaint. 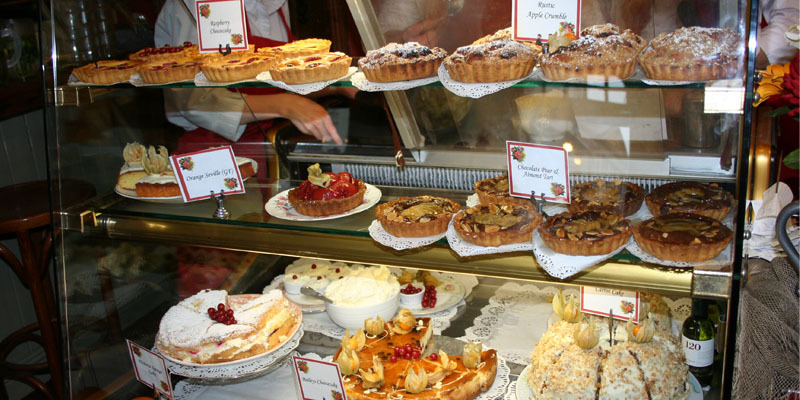 In the menu you will find French toast, omelet of the day and soup of the day. Then there also some sandwiches and some summer tarts like the fresh salmon tart with broccoli, ginger and cheddar cheese. The menu also includes frittata and salad. To accompany your meals, some white wines and some red wines are on the menu. 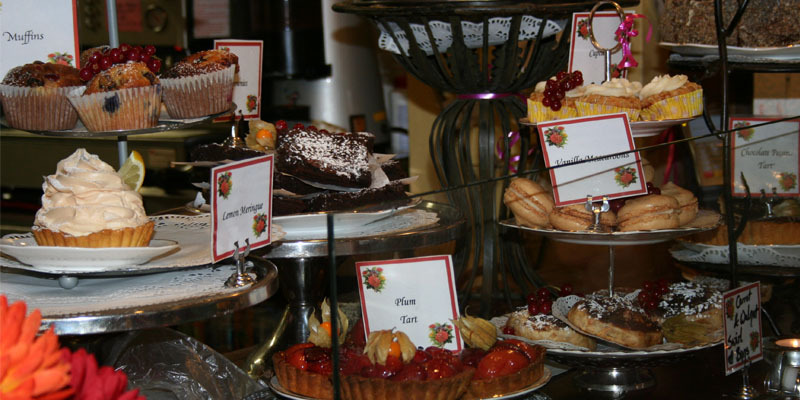 For desserts, the homemade bakery proposes a wide selection of scones, muffins, cakes, crumbles, brownies and lemon curb.